Busy mom, work, kids, no time for cooking, well I’ve got news for you. Even with a tight schedule all you need is 30 minutes in the kitchen to turn out a nice tasty meal for your family! Check out my postings or send me a list of ingredients that you have at hand for recipes or ideas! Have you ever come across this wonderful Flatouts? If you haven’t yet they are a must to have around the kitchen! 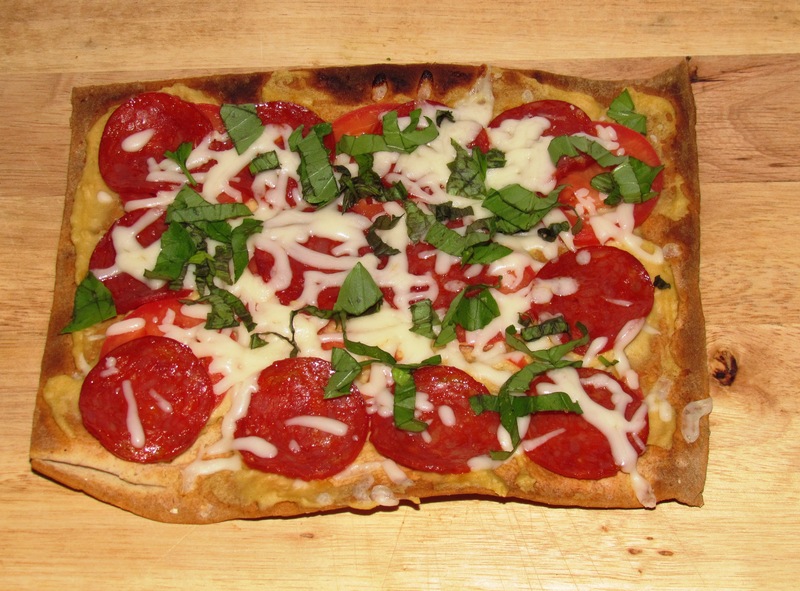 You can make wraps, pizzas, sandwiches and goodness knows what else, all low carb and tasty. Pictured is a lightly toasted Flatout bread, topped with some turkey pepperoni, sliced tomatoes, low fat Publix shredded mozzarella cheese, back under the grill/broiler to melt the cheese and then top it off with some freshly chopped basil! Don’t have basil, use any other fresh herb or some dried oregano. Now following this same trend, everyone loves Taco Tuesday, but the Taco Shells can be messy, or just bored of the same ‘ole dish. 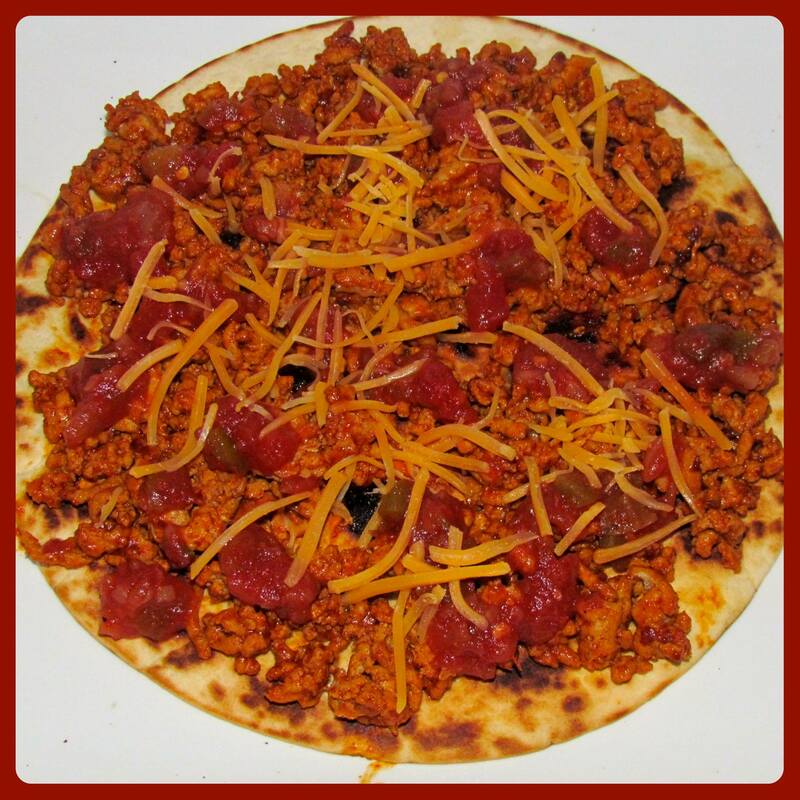 Toast your Flatout Pizza, top it with your cooked taco season beef, chicken or turkey, add some salsa, chopped jalapeños, shredded cheese and lettuce for an amazing Taco low carb pizza! How is that for a quick fix!